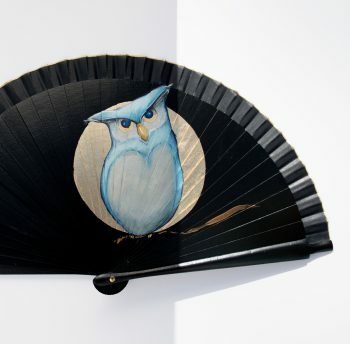 I always try to paint my fans with a special touch. 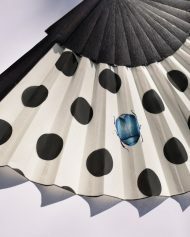 So, while I was stamping my polka dots, I decided to add a funny element: the scarab (Egyptian beetle). 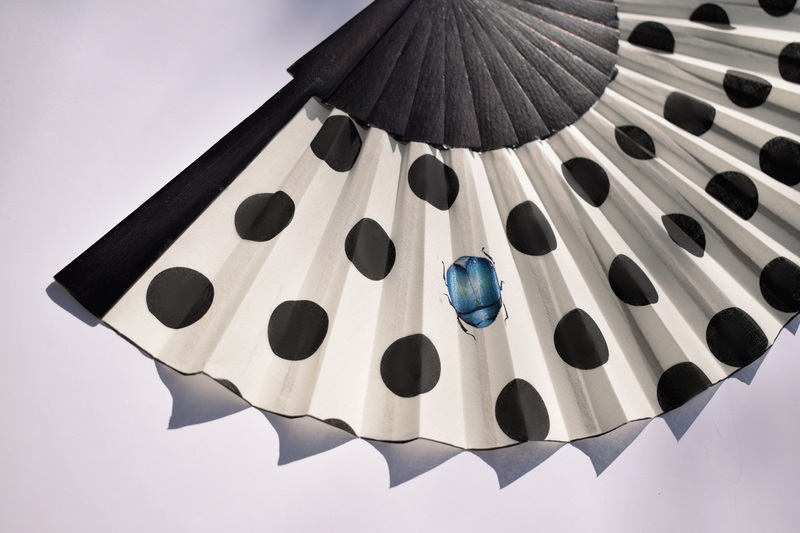 The Egyptian tradition tells that this beetle provides protection against evil, visible or invisible. 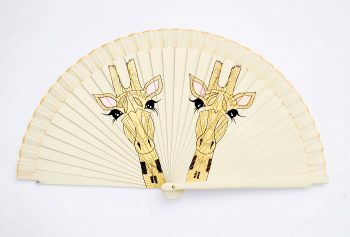 For me, it is a wonderful creature of nature and one of the species of this world that we must preserve. 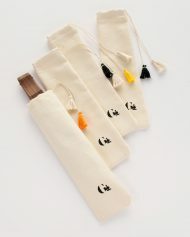 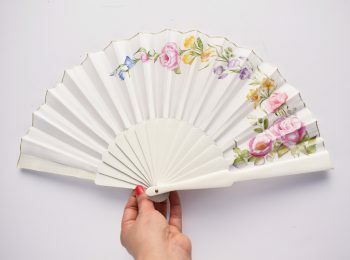 Fabric: 100% cotton, there is the possibility of painting it on silk, with an additional cost of 10 euros, If you wish it, please send me an email to it writes to gigihandfans@gmail.com and I will create a custom item for you. 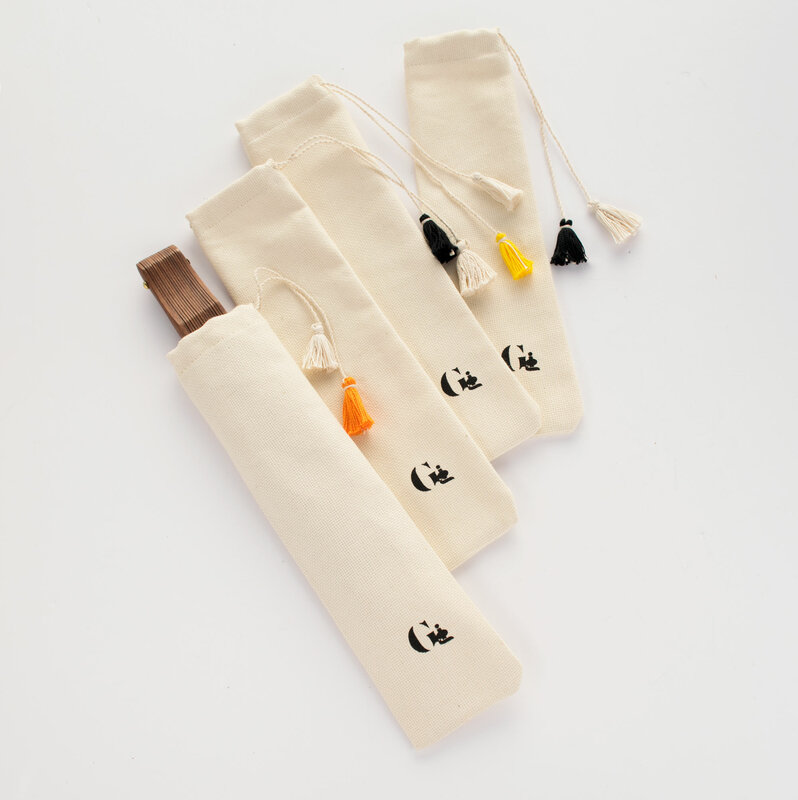 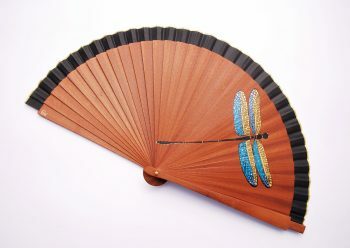 As all my fans, the rods are hand-made by Spanish artisans. 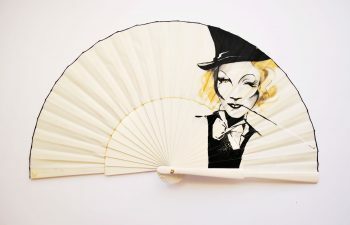 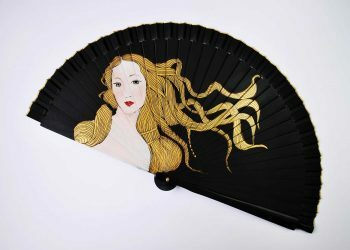 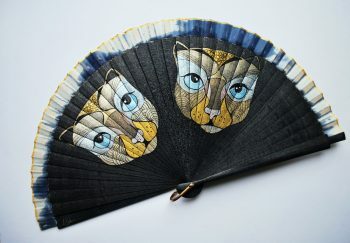 – As I work by order, the illustration I paint in the fan may vary slightly, so each fan is unique..
Standar delivery: 3 €: 2-3 working days. 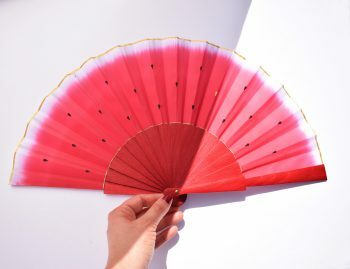 Urgent delivery: 5 €: 1-2 working days. Standar delivery: 6 €: 7-10 working days. 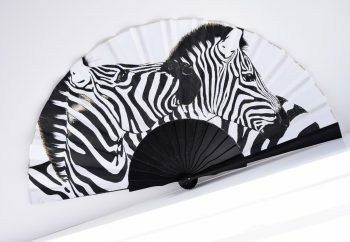 Standar delivery: 9 €: 10-12 working days. 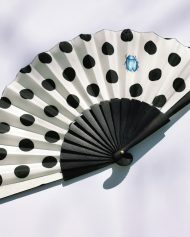 You can pay with your credit or debit card in a totally safe and comfortable way, also through our PayPal gateway. 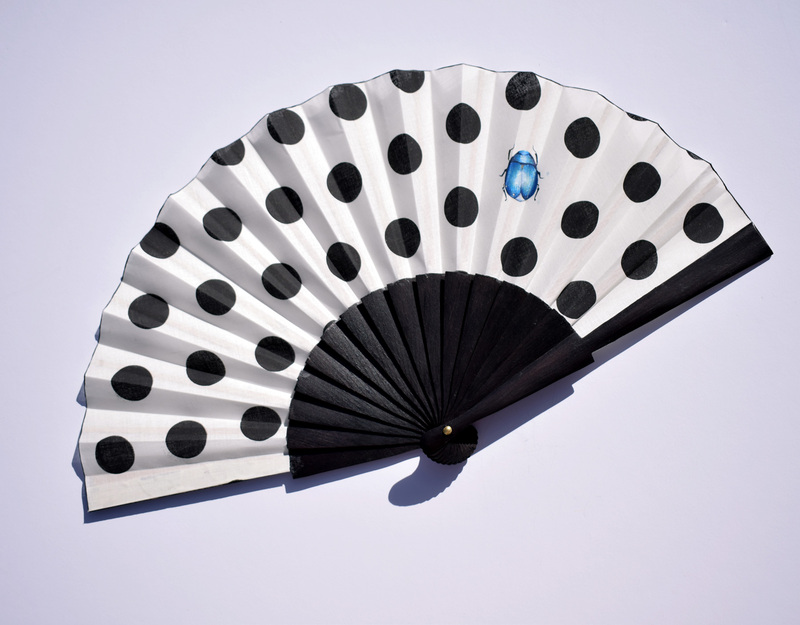 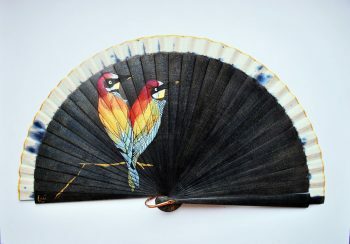 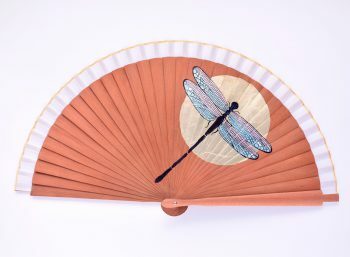 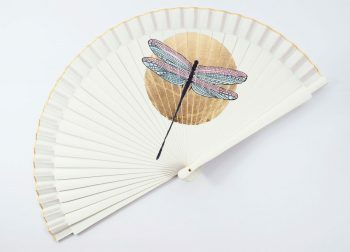 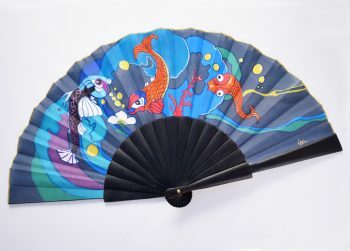 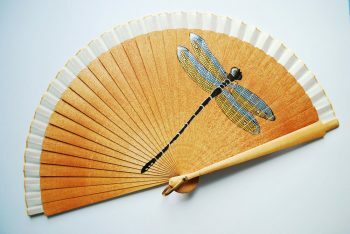 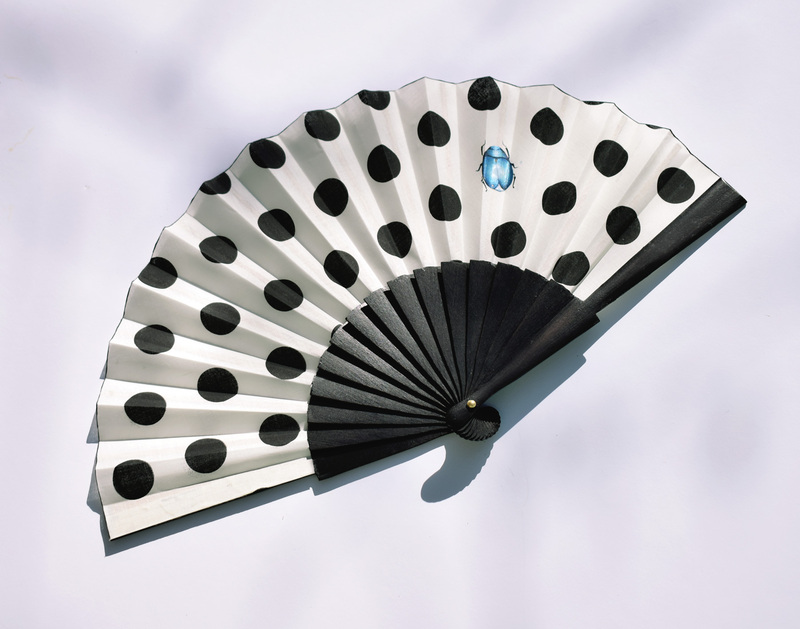 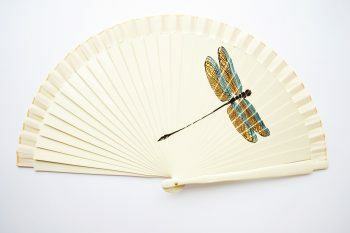 Hand painted handfan – Dragonfly.